The past weekend we went to the woods with Alex. We spend two days in the only Parador on Gran Canaria high up on the mountains in Tejeda. Alex loved it. He was playing with pineapples while his father was drinking a nice wine. Alex was impressed by all those trees and animals he encountered. Finally, a game that plays how it is supposed to. A while ago I tried Diablo 3. It was a nice game, but it had a few shortcomings. The earlier versions were a lot better. Diablo 3 was just to easy, impossible to play without internet and quite expensive. When Diablo left mi a bit disappointed I went and searched for alternatives, and quickly I ended up with Torchlight. Today the second version becomes available. Torchlight 1 (and surely also Torchlight 2) is very similar to Diablo. Killing monsters and searching for the best equipment. At the same time you are saving the world from all the evil. A concept that agrees with me. Torchlight has a nice few characteristics. Much more color and the style of the game is sometimes more like a cartoon. Very nice. The hero has the talk to kill monsters and he does this accompanied by his faithful pet. Compared to Diablo it becomes clear that Torchlight is better in almost every possible way. Version two of Torchlight becomes available today but I think it will only have a digital version. You won’t find the box in the shop. The most amazing thing is the price. The game will be sold for a mere 20 dollars, which translates to a little over 15 euros. A very nice deal! You don’t need internet to play… can create your own multiplayer games… and if you want you can extend the game yourself. 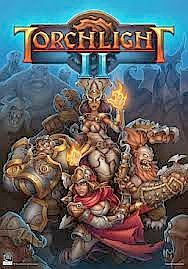 Where Diablo left me with doubts and in the end made me decide not to buy the game (a good choice because I quit playing the game a long time ago) I will buy Torchlight 2 for sure. Selling such a nice game for little is something that must be rewarded. Things are going very well with Alex. 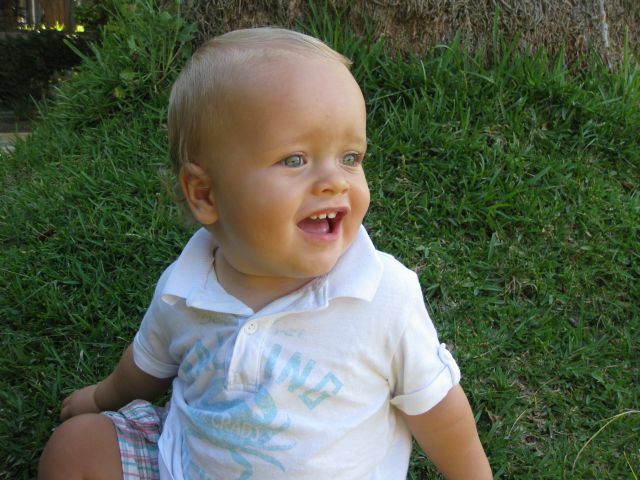 He is already trying out a couple of sports, and that with only one year. Alex diving in the local swimming pool. Alex starting walking and playing soccer at the same time. Soccer is not something Alex got from his father. From his mother is also very unlikely. There is really just one possibility. Alex got the gene to play soccer from his Dutch grandfather and -mother! We had it all. A new apartment and a nice parking space for our car underneath the building. But is was not meant to be. We can still park our car, but the elevator has broken down. We now need to go from -3 to +2 by stairs. Five floors and this is noticeable. The worst is going of with bottles of water (containing 8 liters each). Taking the kid for a walk is also a bit more difficult,but at least I only take him down (and up) two floors. The good thing is that Alex seems to love being carried across the stairs. The origin of the problems is a bit strange. On this very dry island the elevator shaft slowly filled up with water. Now we have a problem with all the water and for sure it will be solved in the Canarian way. At least one more month of taking the stairs.